George was born in Basingstoke in 1866, the son of bricklayer, John Dry, and his wife Jane née Willis. George was one of at least five children having a younger brother (Frederick Thomas, born 1869) and elder siblings Ann Eliza (1856), Henry Joseph (1859) and James (ca 1864). Neither George nor James appear on the national index to birth registers; it is possible that their parents neglected to register their births, but it is as likely that their names were mis-transcribed or lost in the process of compiling the index. The family suffered a body blow in 1876 when Jane died; by the time of the 1881 census they were split up. Young Thomas was with his father, boarding in London; Henry was working as a bootmaker in Kingston-upon-Thames; while Ann and James are untraceable. George, however, can be found – as a ‘boarder under detention’ at an industrial school in Farlington, Hants. 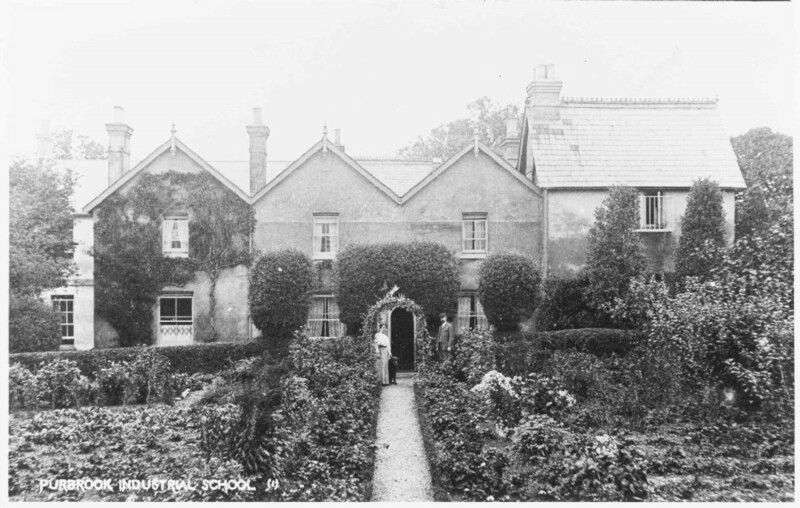 Industrial schools were institutions for the detention and reform of young offenders (later known as reform schools). In September 1879 George had been convicted along with a younger lad (Henry Powell) for stealing carrots from a field occupied by a Mr W Bristow. This is not likely to be a great criminal enterprise, but was probably more than a few carrots for the family stew. George (or his father) lied about his age, telling the court that he was only eleven (he was 13), probably in the hope of more lenient treatment. Sentencing children to be detained in the manner was all about reform – children convicted of even minor criminal offences could be sent away to separate them from what might be seen as unsuitable family arrangements. The Basingstoke magistrates, on sentencing George and Henry made provision for enquiries to be made about their family circumstances before they were sent away – which evidently were not complementary – Henry Powell was in the same industrial school with George in 1881. The industrial school in Farlington went by two names; formally it was the Portsmouth and South Hants Industrial School but it was commonly referred to as the Purbrook Industrial School. A report described it thus: Situated in the district of Portsdown, and maintained from a Government Grant and from Grants from the different education authorities, is for destitute boys from Hants, Sussex, Surrey, and Wilts, who have been exposed to vicious influences; The school, which was certified November 21st 1868, has been enlarged and is now certified for 95 boys; there were in 1915 91 boys; instruction is given in tailoring, shoemaking, baking, farm and garden work, gymnastics, swimming and instrumental military music. It is not known when George was released back to his vicious influences, but it is known that he found work as a groom and joined the Hampshire Yeomanry (the local voluntary militia cavalry). Looking at the splendid photograph of the boys from the school marching through Waterlooville (right) one gets the impression that the school may well have prepared the boys quite well for life in the army. Aged 18 years and 3 months, on 16 October 1884, he went a step further and joined the regular army enlisting in the Hampshire Regiment. Two days earlier he had taken a medical at the barracks in Winchester the rather results of which give some idea of his appearance. He was 5ft 4¾in tall, weighed 118lbs, had a fresh complexion, blue eyes and light brown hair. The examining doctor also noted a few distinguishing marks: a mole on his right thigh, a birth mark on his left thigh and a scar on his left knee. He was passed fit for duty and assigned the regimental number 1537. After only a month in uniform he was posted to Malta where the regiment’s 1st Battalion was on garrison duty. 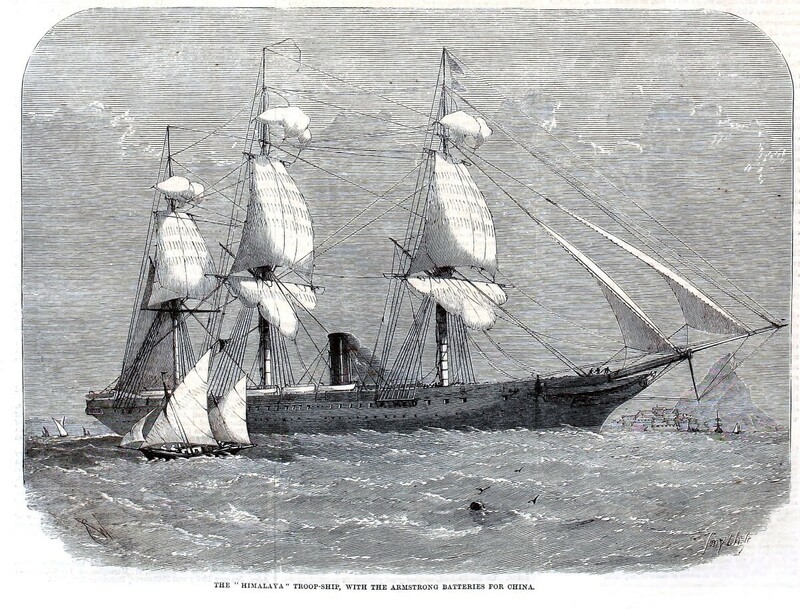 He sailed on HMS Himalaya on 19 November 1884. He remained with the battalion when it moved to Secunderabad in India in 1886. In 1888 the battalion was sent to Burma, which had recently been incorporated into the British Empire following a short war (Third Burmese War) and the suppression of subsequent guerrilla warfare. George’s medical record shows a sequence of problems in the hot climate – dysentery, debility and ‘simple continued fever’ can all be put down to the lack of hygiene and the weather in India and Burma; though ‘primary syphillis’ cannot! George received a severe gunshot wound to his left elbow, part of his humerus being shot away. This was a career ending injury; after a couple of months in hospital he was sent to Mandalay to convalesce and await transport home. 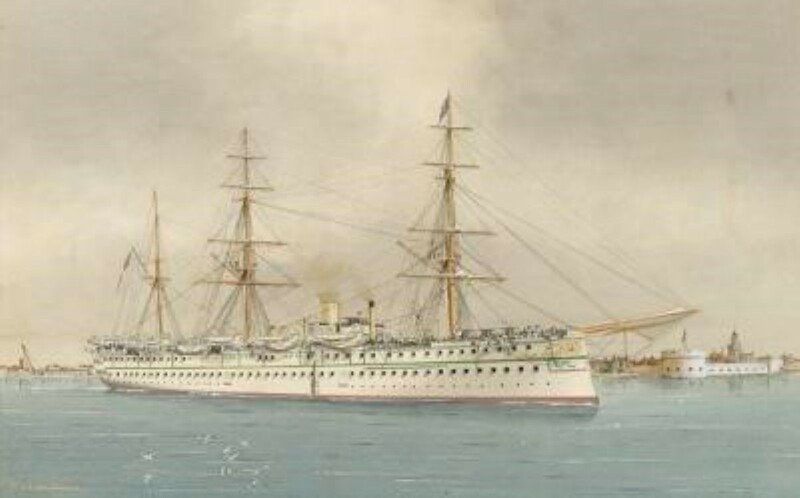 On 8 November 1889 he left Burma on HMS Serapis. Back in England he was discharged from the army on 7 January 1890. Back in Basingstoke he worked as a labourer (evidently his elbow was not too disabling) and lodged with the Lipscomb family at 31 Gas House Road; the Lipscombs also had another lodger – George’s brother James. In 1893 George married Edith Dibley and the first of their eleven children, Sidney George, was born in 1895. There is a cemetery record from Basingstoke that shows the burial of a stillborn child of George Dry in 1901 this may be one of the two deceased children reported in the family’s 1911 census return. However, there were nine children still living – Sidney plus Reginald Charles (born 1897), Florence Ivy J (1898), Lilian May (1900), Evelyn Annie (1903), Winifred Eleanor (1904), Edith Rosa M (1907), Robert Leslie J (1908) and Margaret M (1911). In 1911 most of this large family was living at 2 Mark Lane in Basingstoke and George was employed as a builder’s labourer. 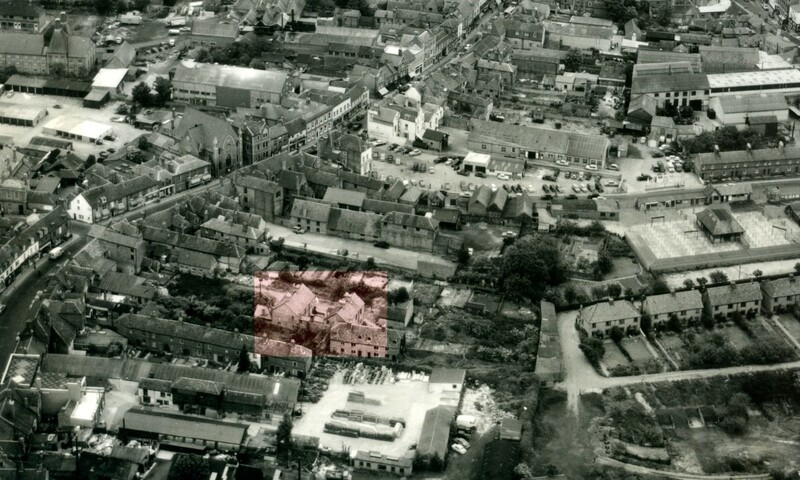 However, it seems that there may have been some difficulty fitting all nine children into their small home – three of them (Florence, Sidney and Reginald) spent census night with their widowed grandmother, Maria Dibley, at her home at 28 Chapel Street, Basingstoke. Whilst the census only records the situation on one night this may have been a long term arrangement. 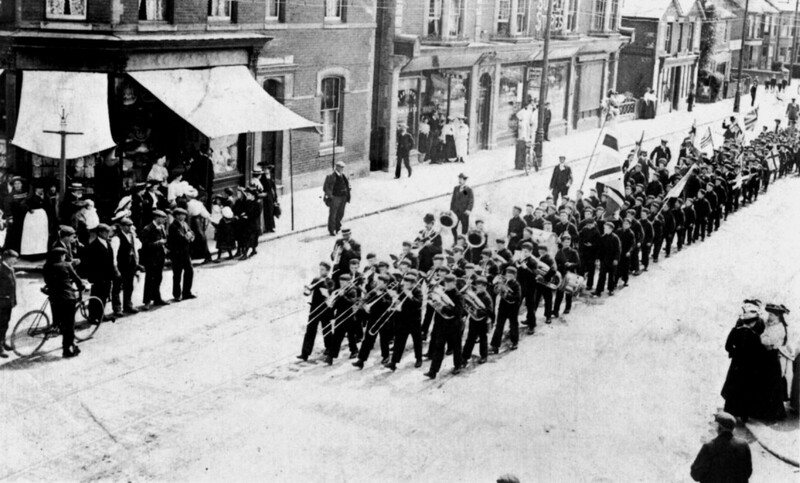 It is well known that, when war was declared in August 1914, hundreds of thousands of young men rushed to enlist to do their bit for King and Country. But it wasn’t only young men who came forward, many older men, especially those with previous military service wanted to be involved. There was already a large group of the ‘old and bold’ known as the National Reserve; this was a Territorial Army element comprising older men who had signed up to indicate their willingness to be deployed in any useful fashion in the event of war. In the early months of the war the men of the National Reserve were examined to assess their fitness – some would be off to the front, some would be told to go home and rest! In between these extremes were men who were not fit for combat service but could be usefully deployed in other roles. Some would work in labour battalions, others were used to guard key facilities and some were used to guard internees and prisoners of war. It is not known whether George was a National Reservist, if not, when he volunteered, aged 48, he would have soon been deployed in a similar manner based on his fitness. On 15 December 1915, after a little more than a year’s service George was discharged from the army – almost certainly due to his failing health. A few weeks later, on 5 March 1916, he died. 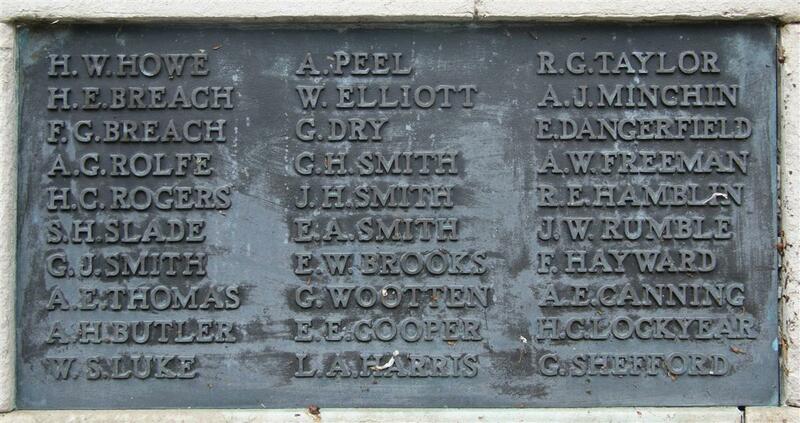 Thus far George’s story gives no indicator to show why his name appears on the Newbury Town War Memorial (tablet 10). The link came through his son, Sidney, who moved to Newbury; he too volunteered to serve and had a fairly long if somewhat chequered army career. He enlisted several times, once as Reginald Charles Perry (using his brother’s forenames), and served with the Hampshire Regiment, the Army Service Corps and the Royal Artillery. While with the ASC he was court-martialed three times each time serving 3 or 4 weeks in detention before a fourth occasion in 1917 when the ASC evidently lost patience. Sidney was compulsorily transferred to the Hampshire Regiment with a recommendation he be sent with the next draft to France (where going AWOL again would land him in a world of sorrow). With a record like this it is quite a surprise that he actually served on and off in one capacity or another until 1927 (the last five years as a Territorial artilleryman). Sidney lived at 5 New Square off Bartholomew Street; the address where George died. George’s presence in Newbury during his final days suggests that his wife, Edith, had moved to be with her son after George left to serve in the army, certainly she was resident there in 1926 and had custody of Sidney’s daughter Elsie. So iIt is probable that she had settled in Newbury before George's death and put forward George’s name to the Newbury War Memorial Committee for commemoration when they advertised for names in 1922. George was buried on 9 March 1916 at Shaw Cemetery (despite its name this cemetery is in Newbury and is the current municipal cemetery). George’s name is not on the Commonwealth War Graves Commission’s national Debt of Honour database, which records the names of the men and women who died as a result of their service during the two World Wars. It is still possible to get names added to this database, which would result in the Commission taking over the responsibility for George’s grave. However, his service record was among those destroyed by a fire in 1940 making it extremely difficult to prove that his death was a result of a condition that started during, or was aggravated by, his time in the army.